Hermès Jour d'Hermès Absolu Eau de Parfum Refillable Spray, 85 mL/ 2.9 oz. 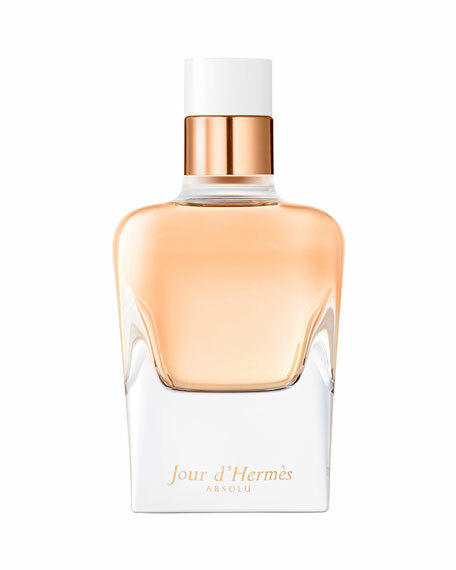 HermèsJour d'Hermès Absolu Eau de Parfum Refillable Spray, 85 mL/ 2.9 oz. Femininity in perfume form! A celebration of the birth and rebirth of woman, every day, Jour d'Hermès brings to light the beauty of woman, while maintaining the mystery of each individual woman. A profusion of bouquets. From dawn to dusk, here is a floral that flowers, a blossom that blooms. Jour d'Hermès Absolu, a floral declaration in the absolute, a radiant profusion of flowers, voluptuous and sensual. Gardenia, sambac jasmine, apricot flower.